United Iron Works, is one of the finest metal fabricators in Miami working closely with Artist, General Contractors, Architects, Engineers, & Homeowners. We are a welding company working for Residential, Industrial, and Commercial clients. Building relationships by providing excellence through quality and service. Building a home or commercial building in South Florida requires high quality, durable products for interior and exterior, which are resistant to vicious storms and humid climate conditions. High impact windows and doors are a must to accommodate the destructive effects of Florida hurricanes and tropical storms. Durability and resilience are very important factors when building Florida structures, but in order for doors and windows to withstand hurricanes and storms as originally intended by their manufacturers, the products must be installed correctly. 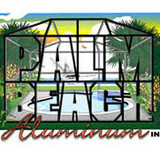 Palm Beach Aluminum, Inc. is a family owned and operated business offering high quality installation services for residents and commercial businesses in Palm Beach County, Florida. We use only the best materials, such as powder coated aluminum, ceramic coated (rust prohibitive) or stainless steel hardware products for windows, doors, shutters and screenrooms. We have a perfect standing with the Better Business Bureau (BBB), We offer a complete line of high quality windows, doors, hurricane shutters, storm panels, screened patio enclosures, gates and fencing for new construction or replacement. Our installation services are performed by in-house installers and service technicians with extensive experience. We are a full service metal and aluminum fabricator with portable welding and installation capabilities always thinking in provide safety and beautiful designs with professional finishes. GWelding has the experience and expertise to handle any metal fabrication project. We work with the same standards in Residential projects as well as Commercial within your budget parameters. We offer a while range of solutions, some of them are: Metal Railings, Spiral Staircases, Wood Railings, Wood Fencing, Decks, Custom Gates, Miscellaneous Metals, Cable Railings, Tennis Courts, Swimming Pool, Wrought Iron, and much more.. We take a great deal of pride in our work and would be happy to meet with you to discuss your particular requirements. Feel free to contact us. We would be happy to help you with your requirement and give you with our experience the best orientation for your project. Our locally family owned and operated business offers excellent customer service, competitive prices, over-the-phone estimates and the easiest way to obtain a free quote is by filling out our Quick Quote Form. Our licensed and insured friendly staff members work with all insurance claims and can build your fence, gates or concrete walls that best fits your home or business. We sell, install, and guarantee all of our own products. Our services also include post hole digging with our own tractor as well as dumping wood fencing debris and wood or chain link fence demolition. Please contact us today at 786-521-7674 and safeguard your property with durable and low-maintenance fences from Advanced Fence Construction, LLC. proudly serving the Miami-Dade County area for over 20 years! We specialize in Wood Fences, Vinyl-Coated & Galvanized Chain Link Fences, PVC (Vinyl) Fences, Metal Fences, Ornamental Aluminum Fences & Rails, Pre-Cast Fences and Concrete Block Walls. Please contact our licensed & insured Fencing Construction company in Miami, Florida today for all your fencing needs and let us install one of our quality low maintenance fences! Again our telephone number is 786-521-7674, fill out our Quick Quote Form or Email us at sales@AdvancedFenceConstruction.com At Advanced Fence Construction, LLC a top 10 rated fencing contractor in Miami-Dade County we pride ourselves on finishing jobs "On Time and On a Budget." Our motto is, "There are no Problems Only Solutions!" 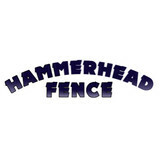 Hammer Head Fence offers the best in Vinyl Fence Pricing and Installation. Building quality fences in South Florida Tri-County since 1992. We are an authorized Jerith Fence Dealer in South Florida. Fencing Florida, Inc. is a locally owned business established in 2000, specializing in high quality fence installations at competitive prices. We are licensed, bonded and insured in Palm Beach and Martin Counties. Fencing Florida, Inc. has 30 years of experience in the fence industry. We understand to provide a successful business you must provide superb attention to #1, our customers. Fencing Florida, Inc. has the experience and the manpower. to provide any installation to be proud of, whether it's a security issue or beautification project, our professional team will work with you throughout the entire project until you are 100% satisfied. Guaranteed! We do Commercial & Residential, P.V.C. Fence, Vinyl Fence, Aluminum Fence, Chain Link Fence, Wood Fence and Fence Repair. Nova Fence manufactures all of our aluminum fences and gates, steel fences and gates in our own weld shop located in Medley. We manufacutre the pickets and bend all the aluminum and steel fencing and gates at our shop. Nova Fence doesnt sub contract our jobs. We manufacturer, and install all ourselves. Who you speak to on the phone is one of the people who will be on site installing your aluminum or steel gates and fences. We dont have salesmen like most fence companies. Nova Fence manufacturers and installs all on our own! No contractors, no salesmen, no hassle, NO PROBLEM! Be sure that when you are getting estimates for your aluminum fences and gates and steel fences and gates you make sure they let you know what materials they use and the quality. We offer high quality and high caliber materials. With our talented and experienced staff - your fencing installation in Broward County will be done to complete satisfaction. If you are looking for the perfect pergola or deck design and installation, we can help with that as well! Each homeowner has different goals for their outdoor living area; whether that is more privacy and security, or to create some shade over an outdoor living space of epic imaginations. No matter what it is, we are here for you from start to finish since we supervise each job - exceeding your expectations! When you need to have any type of fence installed or repaired, be sure to contact Xtreme Fence of Florida, Inc in Coral Springs, Florida to get a fast and free estimate. The fence experts at Xtreme Fence specialize in: fence building (wood, PVC, Aluminum, privacy, pool, construction,property, custom), fence design, fence repair and fence replacement. If you are searching for the best fence contractor in Coral Springs, FL you can count on Xtreme Fence to do the most exceptional job for the most affordable price. Expert Fence and Railing has been a leader in the fence industry for South Florida. This locally owned company has attributed its longevity and success to its superior customer service, dedicated employees, advanced knowledge of products, and the nationally recognized brands of fencing. We are a reputable business with extensive installation experience. We have been chosen time and time again by large US based vendors for their installation needs. Expert Fence and Railing offers incredible value with product information, experienced installation teams, and support to all of its customers. Our dedication to customer service and delivery sets us apart from the competition. We look forward to helping you with your current and future project. We can develop solutions to meet all of your fencing and railing needs. Please do not hesitate to contact us anytime, we are always happy to help and will promptly respond to all requests! Zepco Fence, Inc. has been providing quality fence installations since 1972. Our goal is simply to provide our customers with the best quality materials and installations at the best prices possible. When you choose to do business with Zepco Fence, Inc., you will not meet with a salesman. 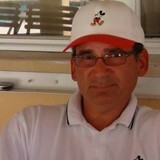 You will deal directly with owner Jerry Zepatos. The most important part of any job we do is the installation. We never use sub-contractors. Our fence crews have been with us for over ten years and they are the best in the business. From the very start of your job, we will find your property pins to be sure that your fence is installed in the right place the first time. We make sure that all posts are dug deep with plenty of concrete and we build all of our fences to surpass South Florida hurricane codes so that they will withstand the worst that nature can throw your way. It was not uncommon after Hurricane Wilma to see fences still standing with our orange Zepco Fence, Inc. signs still on them! Don’t shortchange yourself with cheap materials and a shoddy installation, only to have your investment blown away with the next storm! When you call Zepco Fence, Inc. you will meet with Jerry. He will fit your needs with the right fence at the right price. Then our staff will take over. We will make sure that all utility easement and permit paperwork is properly filed and that your permit is secured. After installation, we call inspections to insure a stress-free experience. From start to finish, we will be on the job to make you, our customer look good. Highest quality and best prices for your fence and deck project. Custom Concepts Miami was created to bring high-quality craftsmanship and innovation to the metal fabrication industry. We provide an aesthetically enhanced product that is structurally sound and durable. Our design team works alongside with our clients providing CAD drawings and renderings if needed to ensure 100% customer satisfaction. As a metal fabrication company, we specialize in designer fences, modern gates, decorative metal panels, doors, railings, balconies, furniture, and any custom designs asked of us. Rest assured we stand by our quality with pride. Baby Guard Pool Fence Company is one of the largest and most trusted manufacturers of pool safety fencing in the United States. We have been leading the industry since its inception in 1995. Baby Guard believes it has the safest, most affordable pool fences available today. Our fences can be customized to fit any size pool. Baby Guard fences are available in either 4 or 5 foot heights and can be installed on nearly all deck surfaces including brick pavers, wood, tile, grass or dirt, seawalls, acrylic and more. At Baby Guard, we don't just make great kid fences, we also help protect pets and the elderly from falling into the pool. Baby Guard Pool Fence Company recommends a self-closing gate that will swing shut and is key-lockable. Baby Guard pool fences are available in plenty of colors and styles to match your outdoor color scheme. All Baby Guard pool fences are 100% rust-proof and come with a limited manufacturer's warranty. Baby Guard's pool fence materials have been tested multiple times by a nationally recognized engineering firm, and has been proven to meet or exceed all of the requirements of ASTM F 2286-05, the design and performance specification for removable mesh fencing for swimming pools. Baby Guard's pool fences meet or exceed National Safety Council Guidelines. The National Safety Council recommends that all pool fences should be 4'-5' tall. Baby Guard owns several patents for its original self-closing gates and has several patents pending. Swimming pool safety fences and accessories are mandatory in many cities, states, and communities. We, at Baby Guard, believe our swimming pool fences and self-closing gates are the most innovative and reliable pool safety products available today. Baby Guard pool fences comply within most local fencing regulations. Even though most laws are put in place to help prevent needless pool accidents, no fencing could ever guarantee your childs safety. Never a leave a child unsupervised with or without a pool safety barrier. Whether you need to secure your yard or just add some decorative flair to your landscape, fences are an integral part of a home’s exterior and curb appeal. Given their security and aesthetic importance, they need to be designed, installed and repaired correctly — luckily, fence contractors in Pompano Beach, FL can help. From devising custom fence designs to general fence repair and maintenance, these pros will have your fencing looking fancy in no time! Your Pompano Beach, FL fence installation and repair professional will work with you to create your ideal fence. Find a fence contractor in Pompano Beach, FL on Houzz. Narrow your search in the Professionals section of the website to Pompano Beach, FL fence contractors. You can also look through Pompano Beach, FL photos to find examples of fencing and gates that you like, then contact the professional who worked on them.